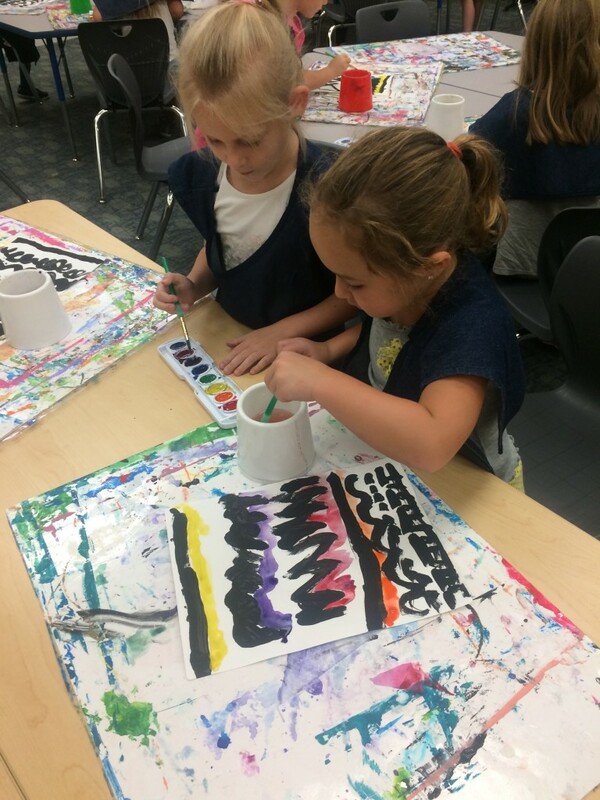 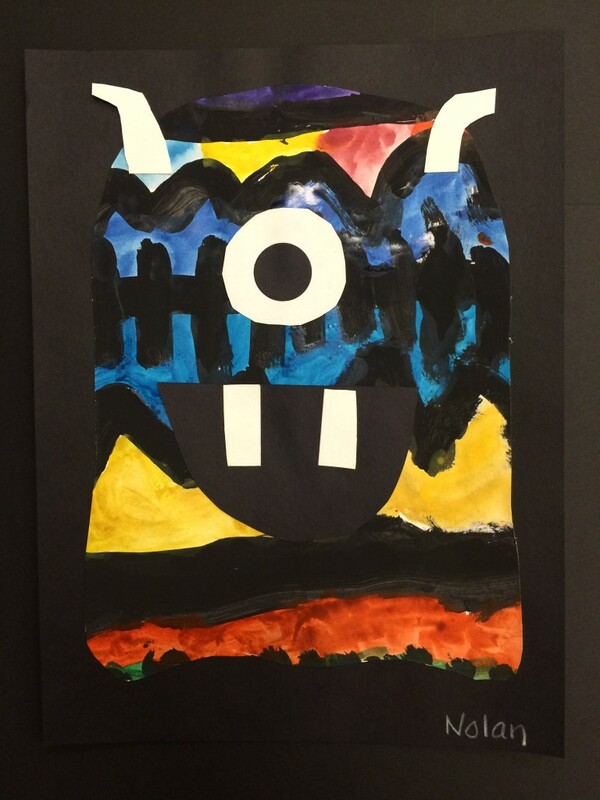 Kindergarteners at Georgetown and Bauer have been busy learning about lines in the art room. After reading the book, Lines that Wiggle, by Candace Whitman, they explored all different kinds of lines. 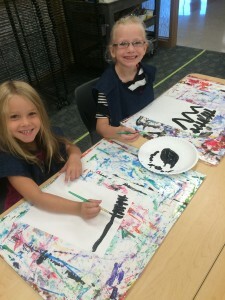 Kindergarteners began by drawing lines in the air with their imaginary pencils, then they painted them on paper with black tempera paint. 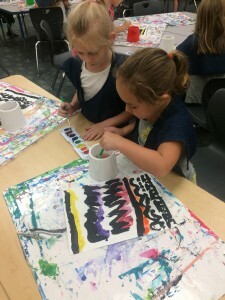 When those lines dried they used watercolor paints to paint color between their lines. 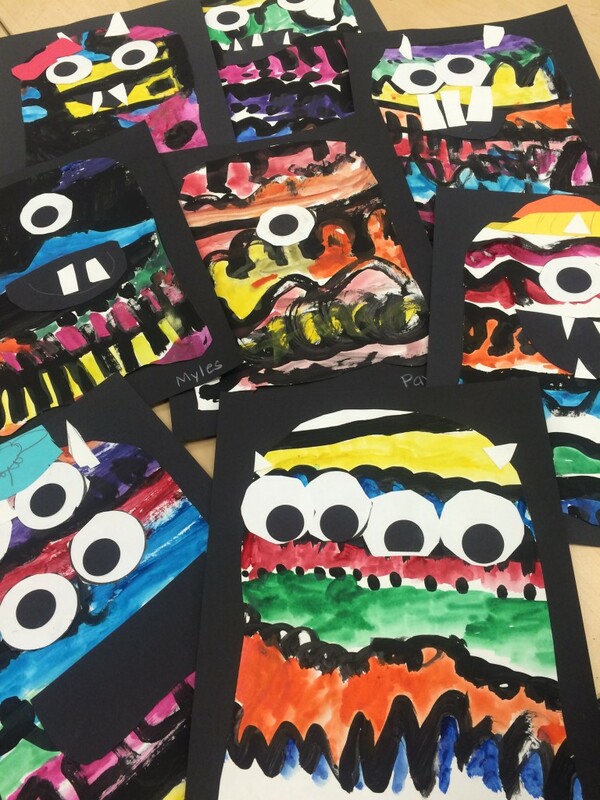 The final step was to cut them to look like monsters by adding eyes, (or an eye), mouths, teeth, and other things to make their monsters unique. 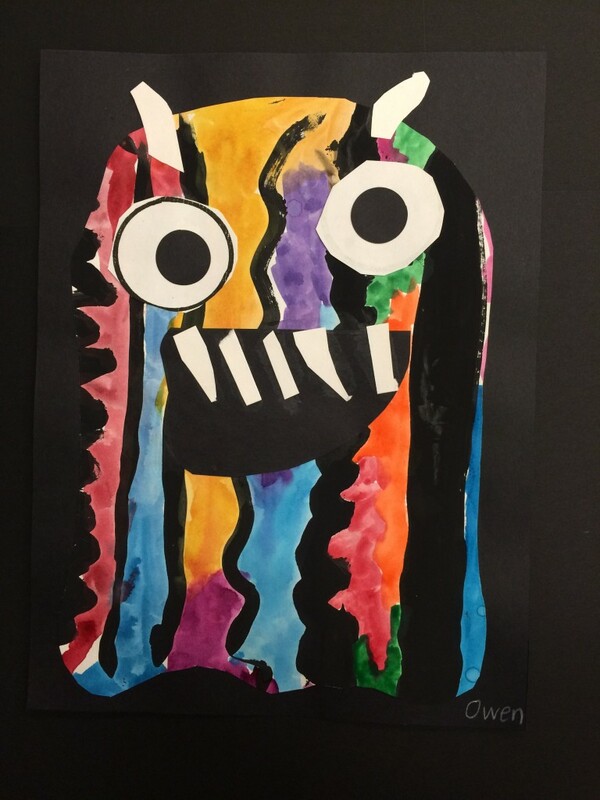 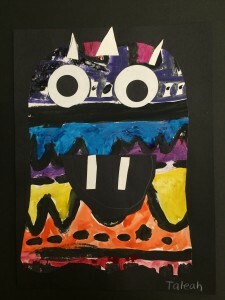 The Kindergarten artists had so much fun creating their monsters, and they are proud to display them in the school hallways! 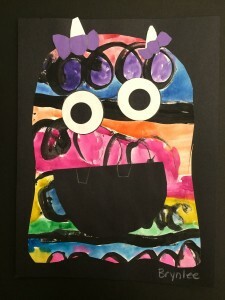 This was a great first lesson for Kindergarten. 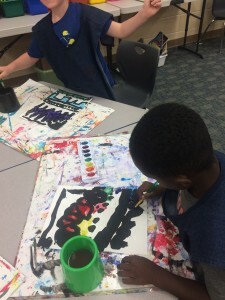 It took a few sessions, but we were able to learn many first skills in the art room. 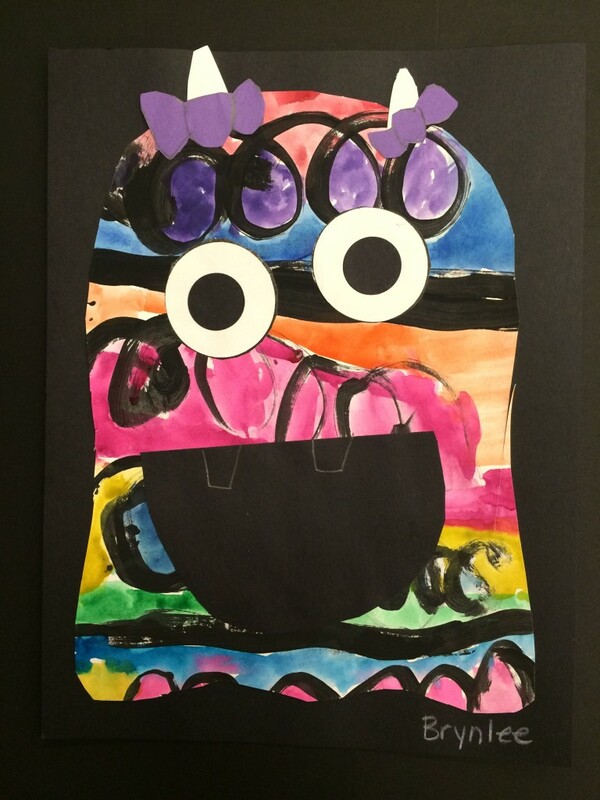 We learned how to use scissors properly by holding our thumbs up and moving the paper, not the scissors. We learned painting correctly by treating the paintbrush like a ballerina and tiptoeing in our paint and dancing across our paper. 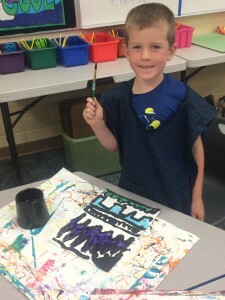 We also learned how to properly use a glue stick by making the glue peek over the edge and not pop over the edge. 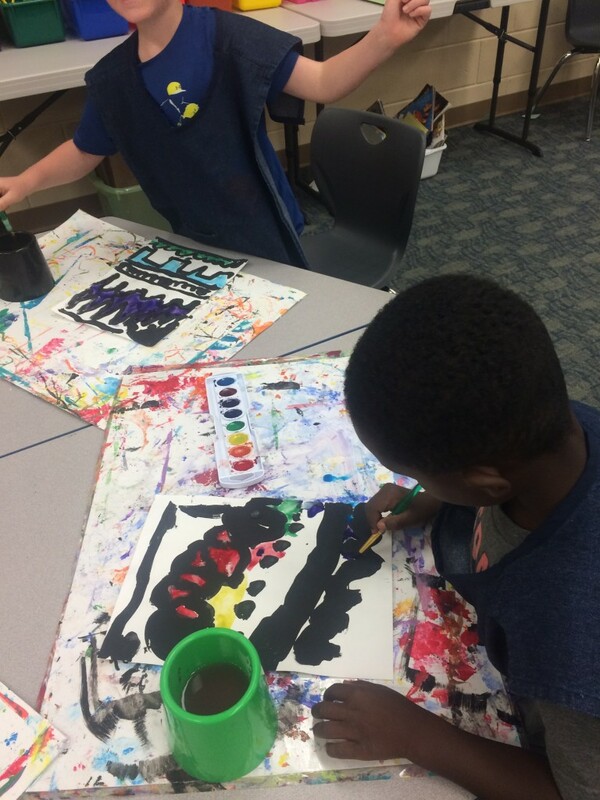 Best of all, we were able to learn the routine of painting and cleaning up paint in the art room by starting simple with just one color.